This entry was posted in 09/10, 1001, Choose Film, Empire Top 301, Empire Top 500, Review, TF 100, The List and tagged Carrie-Anne Moss, Christopher Nolan, Guy Pearce, Joe Pantoliano, Mark Boone Junior, Memento, Stephen Tobolowsky by jaycluitt. Bookmark the permalink. Love it. 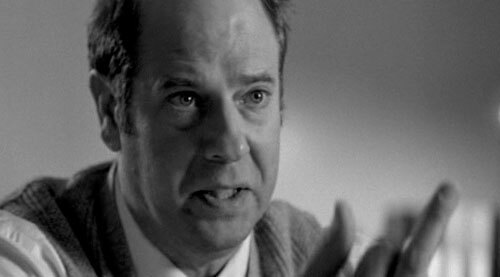 Love this film, love this write up, love the fascination with El Tobolowsky. 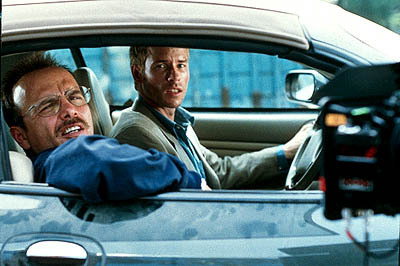 This is my husband's favorite movie, and we have endlessly discussed its intricacies and inherent awesomeness. You're absolutely right – it's not just a "gimmick" film. There's so much more there than just "hey, it's in reverse. "The scene where Carrie-Anne Moss systematically removes all the pens from the room then tells him exactly how she's going to screw him over is one of the most frustrating scenes in the film. It makes me so angry, and there's nothing Leonard can do about it. He's so helpless. That's possibly my favourite scene in the film, although the whole thing is just brilliantly written and worked out. Thanks for the compliment, and thanks for reading! Despite the massive hype for his Batman films I still consider this to be Nolan's best work. Good review. My personal choice is probably The Prestige, then Inception, then Memento, then Dark Knight. Although those four could all switch places quite easily depending on the day, it's a close-run race.